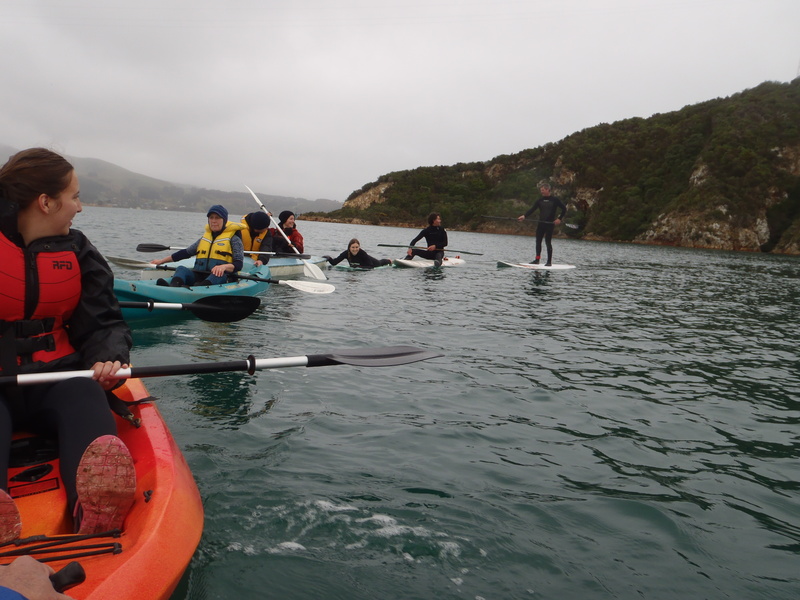 Oil Free Otago were out on Otago Harbour today practicing kayak formations and ready response manoeuvres. “We’re practising so that we can safely and effectively protect our oceans when we need to” said Oil Free Otago spokesperson Rosemary Penwarden. Anadarko, NZ Oil and Gas and Woodside, Australia’s biggest petroleum company, have been seismic testing off the Otago coast all summer. “We want Anadarko, NZ Oil and Gas and Woodside to know we don’t like what they are doing in our ocean.” Ms Penwarden said. We can’t even burn most of the oil and gas we already have and stay within two degrees of global warming. The easy oil is gone, but now oil companies are going to extremes to get what’s left, like the Arctic and our frontier southern region. Lower oil prices make short cuts and accidents more likely than ever. “We will oppose Anadarko, NZ Oil and Gas and Woodside every step of the way,” said Ms Penwarden.